Bohemia Interactive has also released a launch countdown website, chock-full of information for eager fans. 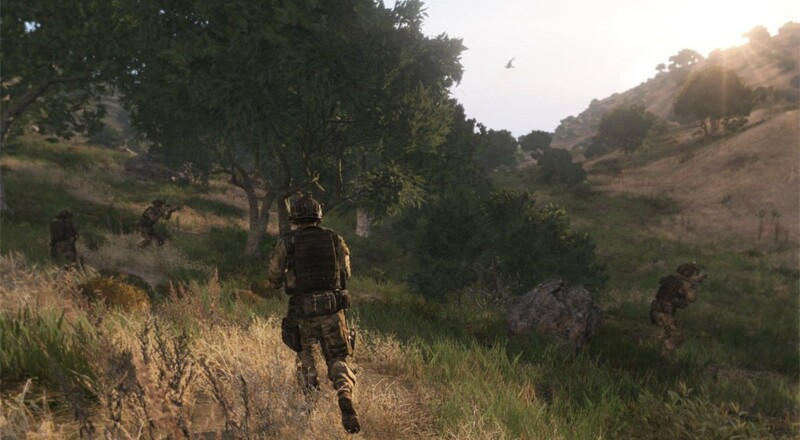 It was announced earlier this week that ArmA 3 won't be launching with its campaign, which will instead be added to the game over three free updates after launch. The first campaign update, entitled Survive, is scheduled for a month after release. The second two updates, Adapt and Win will be released within the months following. Fear not, however, as ArmA 3 will still have tons of content at launch even without the campaign. The game will launch with 12 single-player missions, 3 faction showcases, 9 multiplayer scenarios, 10 firing drill challenges, 20+ vehicles, 30+ weapons, and the massive island sandbox areas of Altis (about 168 square miles) and Stratis (12.5 square miles). This is on top of the extremely anticipated modding support. Once again, ArmA 3 will be available on PC on September 12th, supporting massive co-op (think dozens). The game is available now for digital purchase (via Steam or the Bohemia Interactive store) to gain access to the beta for $45.